He’s adorably ragged and he needs a friend. Hands up if you want to volunteer. It would be cruel to shoo this pup away. He’s a perfect pet in a slightly grubby disguise! 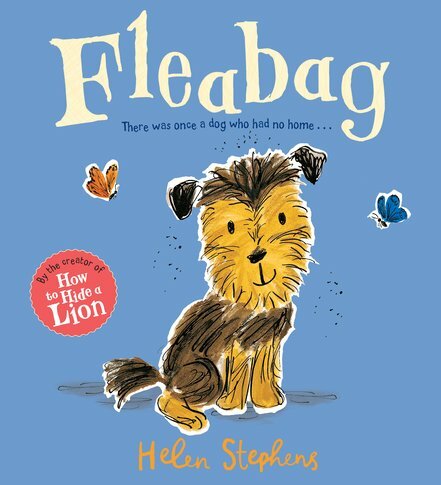 Fleabag has button-black eyes and a tail that never stops wagging. Oh yes: and a few, ahem, fleas. But he doesn’t have a home. Luckily, one lonely boy is looking for one scruffy little dog. Will they be friends to the end? The cutest ever hero tumbles through this quirky tale of friendship. As warm and cosy as buttered toast.